This is an awareness-raising campaign of Syrian Refugees for donation which is made by IKEA partnered with the Red Cross. It raised more than 22 million euros for Red Cross’ efforts in Syria. 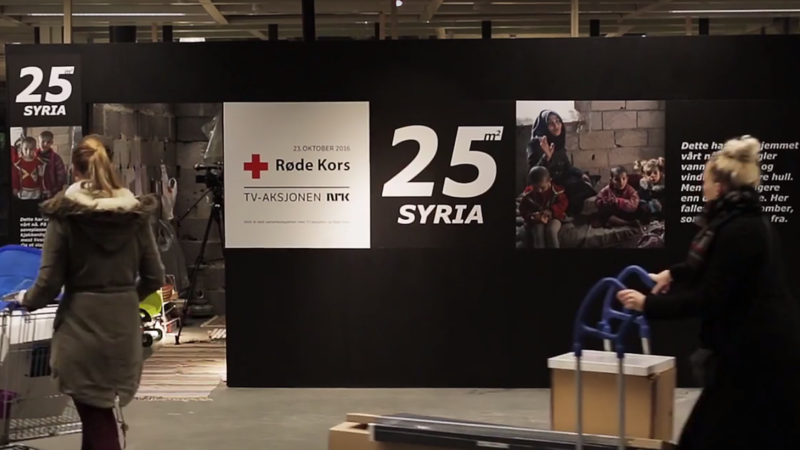 25 m2 of Syria is an apartment at IKEA Slependen (flagship store in Norway). But it is not one of the “picture perfect” homes that are usually on display. The apartment is built as a replica of the real home of Rana and her family of 9 in Damascus, Syria.